In many cases, economically vulnerable families and individuals make enough money to have a vehicle but not enough money to fix it when it breaks. That’s where our Reduced-Cost Auto Repair Program comes in. If you have a vehicle that is in need of repair and you qualify economically, we could be able to repair your vehicle for basically half of what a traditional garage would charge for the exact same work. Most repair shops in the area charge $80-$199 per hour plus the cost of parts to work on your vehicle. In the case of our Reduced-Cost Auto Repair Program, the shop cost is only $50 per hour, and we pass any savings that we receive from our parts supplier on to you. Keep in mind that we don’t do all types of repairs, but if we can do it, we will. If we’re not able to complete the repair, we have partner garages that offer good, reliable service at fair prices. We’re happy to recommend them to you. To see if you qualify, check out the information below. If you qualify fill out the form at the bottom of the page so that we contact you to setup an appointment. It’s as simple as that! Have annual gross household income* falling at or below the levels listed in the following chart. *Household Income is defined as the amount of income for all wage-earners in the home before taxes and other deductions are removed. You must be able to bring your car to our shop in Frederick, Maryland. We cannot perform major engine or transmission repairs/replacement. If, after receiving an estimate for repairs, you decide to wait until another day to have the work done, you may be charged $25 for our technician’s diagnostic time. If you return for the repair work within 30 days, we will deduct this charge from your invoice. A special thank you to Gearwrench. 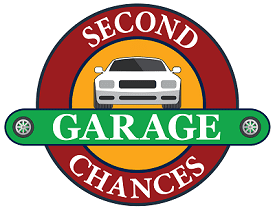 They are the Official Tool Sponsor of Second Chances Garage.